Nokia 6 (2018) has been launched in India by HMD Global. The new Nokia 6 is built out of single block of series 6000 aluminium and improves upon its predecessor with a faster processor, a slightly tweaked design and better connectivity options. To recall, the smartphone was launched at MWC 2018, following its launch in China in January. The Nokia 6 (2018) is a part of the Android Oneprogramme and bears Nokia’s Bothie feature, which was first seen in last year’s flagship Nokia 8. At the launch event in New Delhi, HMD Global also announced the launch of the Nokia Mobile Shop – the company’s online store for India. The Nokia 8 Sirocco was also launched at the event, as was the Nokia 7 Plus. 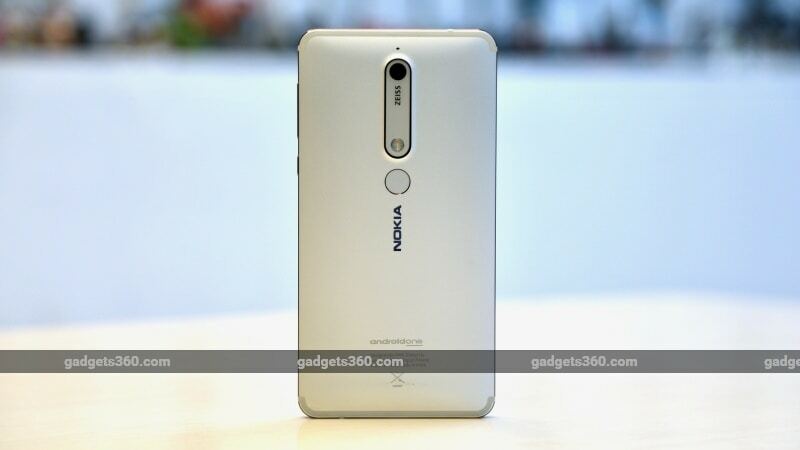 The Nokia 6 (2018) price in India has been set at Rs. 16,999 (best buy price) – for now, only the 3GB RAM, 32GB storage variant has been launched, but the 4GB RAM, 64GB storage variant can be expected to make its way to India in the coming months. It will face tough competition from the Xiaomi Redmi Note 5 Pro and Moto G5S Plus. It will be available via the Nokia Mobile Shop and select mobile outlets (Sangeetha, Poorvika, Big C, Croma, and Reliance, amongst others) from Friday, April 6 onwards. It will be available in Black/ Copper, White/ Iron, and Blue/ Gold colour variants. The dual-SIM (Nano) Nokia 6 (2018) runs on Android 8.0 Oreo out of the box and is part of the Android One program which entails no OEM customisations and swift updates. The smartphone has a 5.5-inch full-HD (1080×1920) IPS LCD display with an aspect ratio of 16:9 and Gorilla Glass for protection against scratches. It is powered by the octa-core Qualcomm Snapdragon 630 SoC coupled with with 3GB or 4GB of LPDDR4 RAM.